Class members from the course “Social and Behavioral Foundations of Primary Health Care” at the Johns Hopkins Bloomberg School of Public Health write a policy advocacy blog as part of their assignments. Here we are sharing the blog posted by “jleblan5jhmiedu“. read more on this and other SBFPHC blog posts by clicking here. This posting is particularly relevant today on World Mosquito Day. Vector-borne diseases make up some of the more common infections throughout the globe. The Centers for Disease Control and Prevention acknowledges mosquito-borne diseases, such as West Nile Virus, and tick-borne infections, such as Lyme disease, have a great impact on the United States. These vectors have found favor in climate change as they continuing to breed and pose a public health risk; carrying infectious agents that may be transmitted to humans through a bloodmeal. In 2014, the State of Florida Department of Health published their mosquito borne diseases surveillance guidebook. Within these guidelines, specific mosquito-borne infections were addressed in regards to both detecting and preventing such diseases. Unfortunately, since this publication, the Zika virus outbreak developed and was found to have recently reached Miami-Dade county in Florida, where locally transmitted cases were confirmed. Given these locally acquired infections in Florida, the surveillance guidelines should be updated accordingly. While the Northeastern regions of the US are known to have their “tick season” in the Spring and Summer, Florida’s climate allows for a year-long risk of contracting a tick-borne diease. The standard lab dia gnostic criteria for Lyme disease, the ELISA, detects antibodies against the bacterium, Borelia burgdorferi sensu stricto. However, it has continued to demonstrate poor sensitivity and overall reliability. Research from the University of North Florida has identified different strains of Borrelia that cause disease in humans. Thus, should one be infected with one of the different strains of Borrelia, one’s test is likely to be negative despite having actual disease. 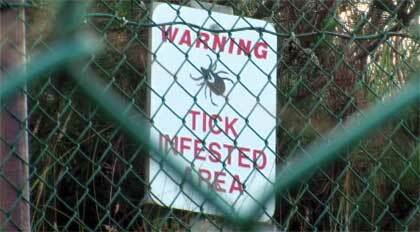 In recent years, Florida was found to have a 140% increase in Lyme disease cases since 1993 while reports of other tick-borne diseases have also increased. Hence, Florida researchers and public health professionals must partner together to revise and implement more up-to-date/accurate screening and awareness for vector-borne diseases. Class members from the course “Social and Behavioral Foundations of Primary Health Care” at the Johns Hopkins Bloomberg School of Public Health write a policy advocacy blog as part of their assignments. Here we are sharing the blog posted by Hanna B. More of the SBFPHC postings can be read at this link. On February 22nd, the Presidential office requested $1.9billion in emergency funding to support activities related to Zika virus, but these efforts have dangerously stalled in Congress. To date, nearly $600 million has been redirected by the Obama administration to fund Zika related research, front line response efforts, and vaccine development. More than half of this money was redirected from within the U.S. Department of Health and Human Services (DHHS). On August 3rd, Sylvia Burwell, DHHS Secretary, informed Congress that due to the delay in approving the emergency funding, the DHHS had been forced to further reallocate up to $81 million from other programs, including the National Institutes of Health. This was extremely important because it could impact the progression of the vaccine studies currently underway, as Secretary Burwell suggested in her letter to Congress. Her letter also outlined the response by the CDC and predicted that they too would be out of Zika funding by the end of the fiscal year (Sept 2016). Funding approval for Zika virus related activities from the U.S. is more urgent than ever. 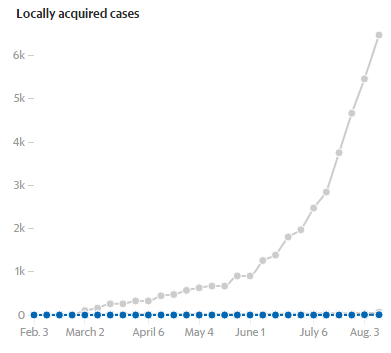 As of August 17th, the U.S. has confirmed 14 cases of locally acquired Zika virus disease – all from Florida. This was after the U.S. Centers for Disease Control (CDC) announced on August 2nd that an additional $16 million was awarded to 40 states and territories to support Zika related public health activities. So what can you do? It is time we let our political leaders know that their constituency will not wait any longer. Follow Secretary Burwell’s lead – petition your local congressional representatives (House, Senate) and let them know this is an issue you care about. Or submit pre-formatted online petitions at Project Hope and AmeriCares. And spread the word and call to action amongst your peers.